The ULTIMATE SEASIDE HOLIDAY!! 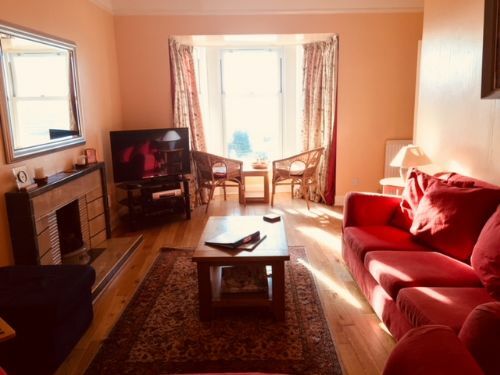 Characterful and spacious house in enviable position above Lower Largo's long sandy beach with direct access to the sand (or sea depending on the tide) via a gate and steps leading down from the South facing patio. Wireless Internet. 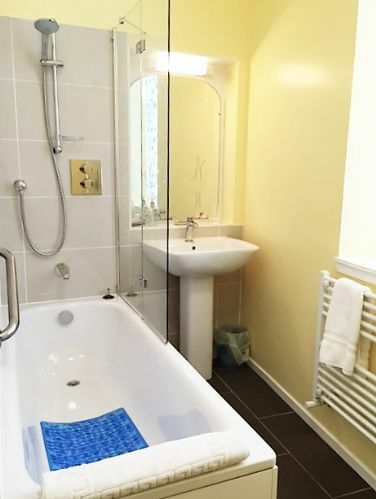 The house has five bedrooms (one of which is a small single leading off a double which makes an ideal family suite), two en-suite bathrooms, two en-suites on the first floor and a family bathroom and bedroom on the ground floor for those with mobility problems. Pubs and shop within walking distance. Kitchen - Modern and well equipped with fridge/freezer, microwave, dishwasher, hob and oven, washer/dryer etc. 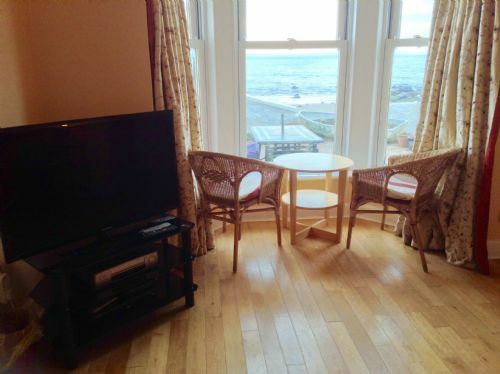 - full advantage of your location can be taken from this attractive terrace with has panoramic sea views, plenty of garden furniture for al-fresco dining, bar-b-que provided. This is a real sun-trap. Conlon/Morrice Clan gathered for a family 40th birthday surprise. Cracking house for all 9 of us - baby mila loved her first family holiday. Our family gathered from Aberdeen, Glasgow and Canada. this house was amazing. Great size for all 6 of us. The view and the location are amazing and we loved every minute of it. The weather was amazing, so glad we could enjoy outside. Thank you for a wonderful trip, we would love to come back again. We have travelled from London, Aberdeen & Dundee and have had such a wonderful week. The weather excellent. What a beautiful spot - spectacular views. A girls trip for a couple of days. It was so much fun and the weather was great too. The view was great and we have been able to have breakfast outside every day. Had a lovely BBQ down by the beach. The dogs loved every minute of it. Went to a few beaches in the area which was really nice. Overall it was an amazing trip and we would love to come back. Here for New Year, fabulous time. Thank you so much for a wonderful stay. We are all sunburnt!! What a hidden gem! Over our 6 days staying here we had different family member stemming over 4 generations - the memories of staying here with our mum and dad will stay with us forever. Already looking forward to returning, hopefully some time soon. We had sunshine for 6 whole days and this is APRIL!!!! Beautiful house and the garden is great. Had a wonderful holiday as always when we come to Lower Largo, the waves have been spectacular coming over on to the patio. We all thoroughly enjoyed staying at Appleton House. It wouldn't be a surprise to see us coming again! Our second time here and still unforgettable as ever. Not to mention the surprisingly hot warn and sunny weather we've had. We will return one day. Lovely to be surrounded by family and friends up here. 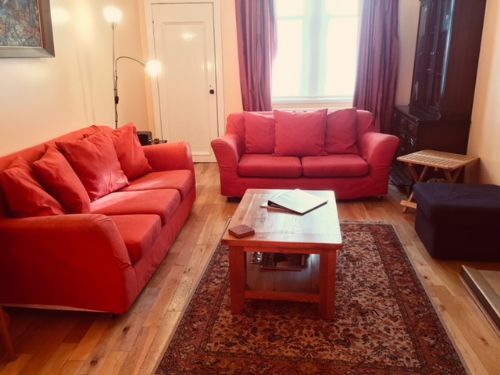 "Thanks for us having a lovely time spent in your accommodation, views fantastic, village awesome, hope to return in the future"
"Thank you so much for letting us stay in your lovely house. We enjoyed the views and walking on the beach. Food in the Crusoe Hotel was wonderful, today we will do the chain walk"
"Great venue for a ladies’ getaway and the weather has been fantastic"
"House great, weather fantastic - three generations (from 15 - 83) had a bucket and spade holiday" House a real home from home, couldn’t have asked for anything better"
"Thoroughly ernjoyed our stay. Location stunning, waking up to the sound of the sea was beautiful. Local scenery lovely, lots to see. 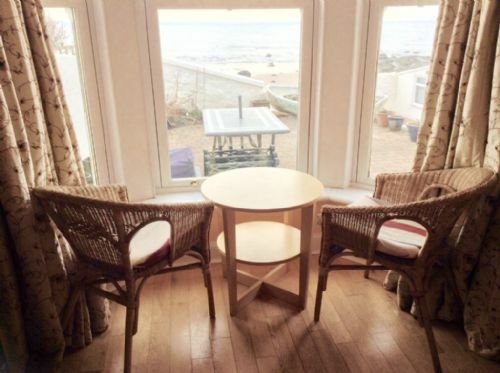 Fantastic sized house for 9 with plenty of facilities"
"Very comfortable, clean and well equipped, fantastic location, great beach"
"Spacious, comfortable, well equipped house - beautiful setting, ideal for a beach holiday. Just to let you know what a wonderful week we had at Appleton House. 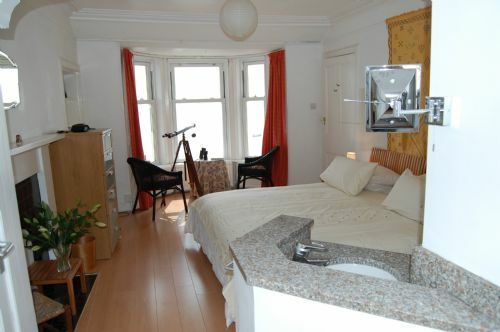 It was very difficult to leave, the house is beautifully furnished and well equipped. We hope to be back one day! My wife and I and the rest of our family would like to say how much we enjoyed our stay at Appleton House, Lower Largo. 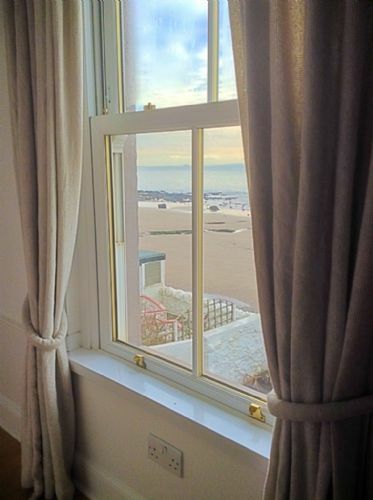 The location on the beach front was superb and the house itself was perfect for all the family. We especially loved the view from the master bedroom as it was a delight to wake up in the morning and experience the wonderful vista. We would certainly recommend this house to anyone and look forward to returning again in the future. Many thanks.